Might this month’s writing challenge summon thoughts of Victorian gentlemen sitting beside a roaring fire, reading a tome, and smoking a pipe? Last month’s image of featured a carved wooden hand pointing the way. 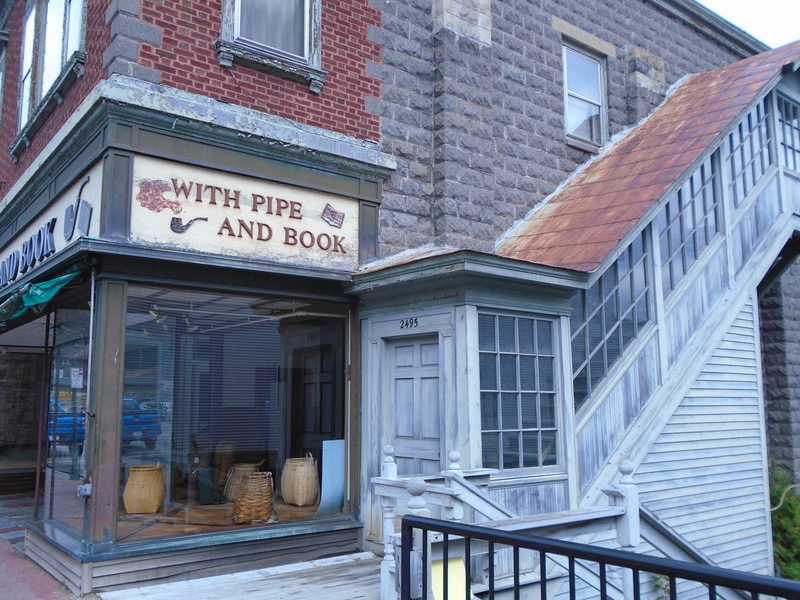 The carving can be found on the side of a building in Niagara-on-the-Lake, pointing down a side street. The image, taken in August 2015, may be viewed here. Now take up your pencils, your pens, or your keyboard and follow your instincts and write. What will this month’s image inspire?